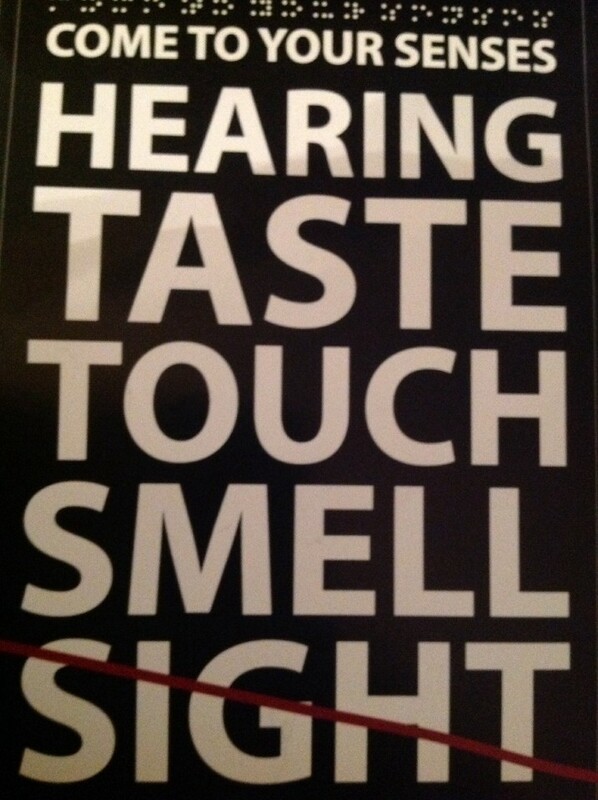 We have five senses and our sense of taste is what we use for eating, right? Well, not quite. The Indians and many other races eat with their hands so touch and feeling the food is important. Without our sense of smell then our taste of food will be compromised if existent at all. How many of you are like me and get so ravenously hungry and excited when a favourite dish is being cooked and the spices waft through the room? Hearing? Umm not sure how much this is involved except for when a sizzling hot plate comes out (with delicious tofu steak at my favourite Japanese Restraunt in Melbourne – Yamato!). Tonight I experienced how much I use sight to enjoy and eat my food. I use it a lot because I am lucky enough to have sight and really enjoy the look of food. However, what if sight is not there? What if your blind? What if you’ve never seen a prawn, or a mango – would that diminish your enjoyment of it? Oh no – the other senses definitely kick in! 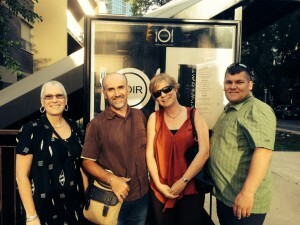 Tonight I went out for dinner with three wonderful new friends from Ontario. 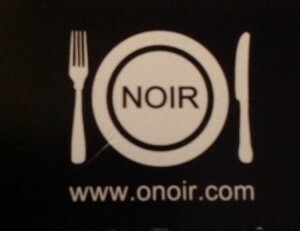 We all met in Toronto and went to ‘O noir’ – a Restraunt where all the waiters are legally blind. In the Restraunt it is black. 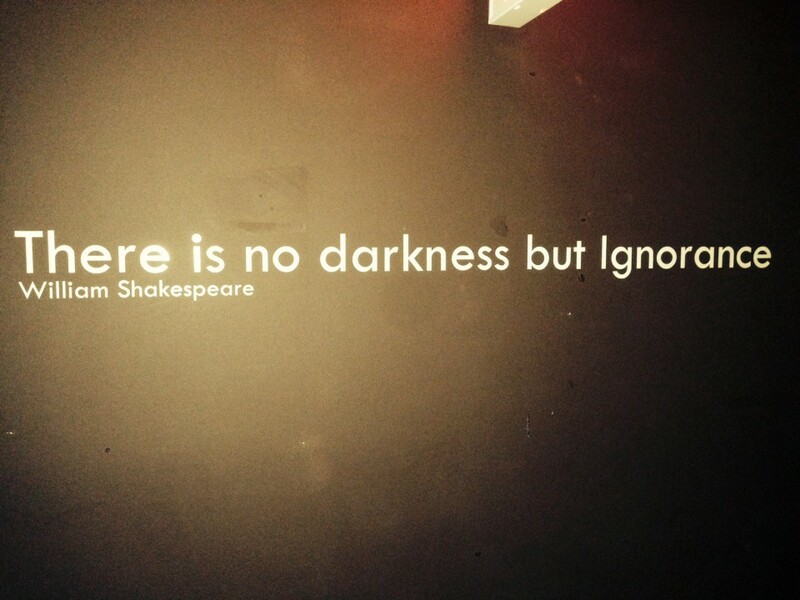 I mean pitch black – you can’t even see your finger in front of your nose. 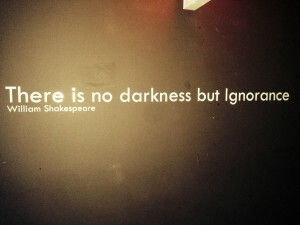 Zilch light. Nothing! It was a truly incredible experience and really made me appreciate my sight but also how much I really love the look of food and I definitely pick food by how it looks, how fresh it is, how it is served……. It all makes a difference. 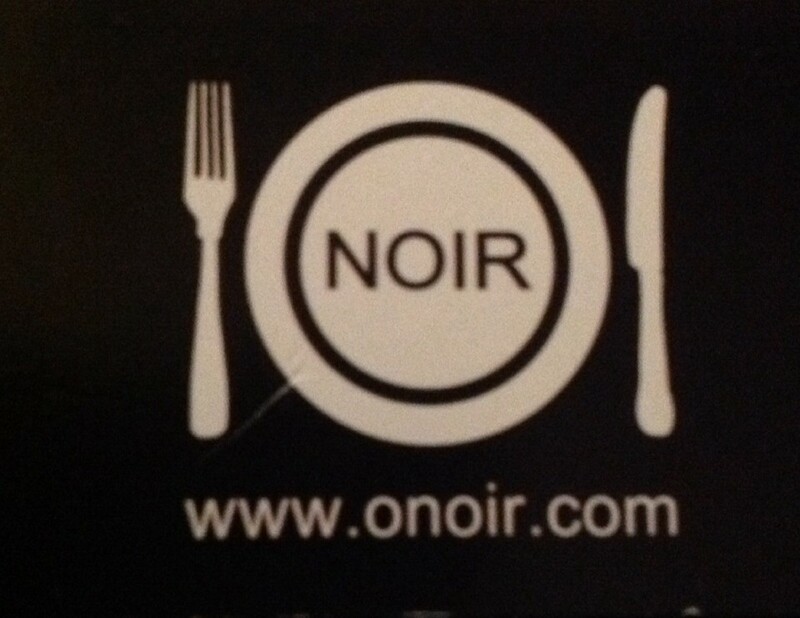 At O Noir I learnt that I could have an incredible meal without seeing it at all. First of all we entered the Restraunt which is in the basement of a building. As you walk down the stairs the lighting becomes dimmer and you are greeted by the bar staff who give you menus to look at and choose from. Or if you are feeling lazy or adventurous you can just order a surprise. The dim light was enough to read the menu and we chose our delicacies. 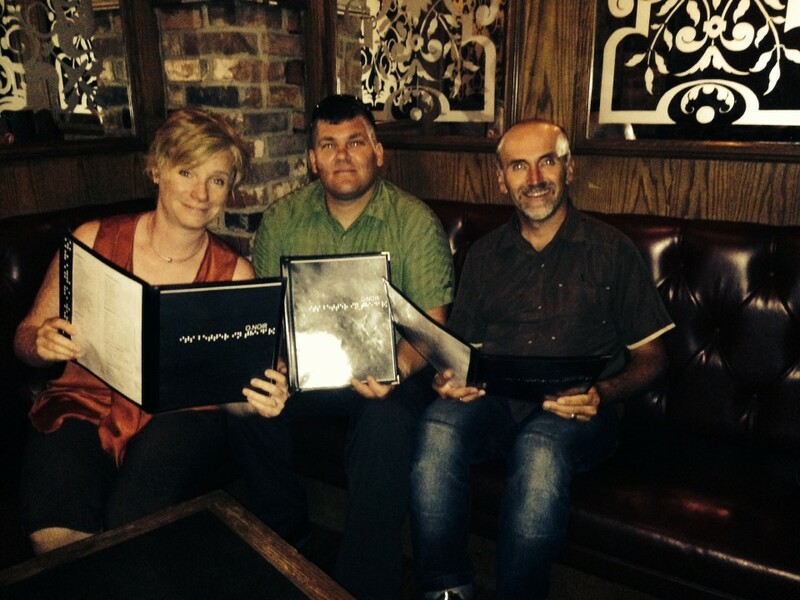 We opted for the three course meal with delicious Pinot Grigio wine. We were then directed to the door of the Restraunt and our waiter, Gavin, greeted us and gave us a little speel about switching off mobiles and staying close together so he could show us where to sit. He lead the way and the four of us held arms in a chain like fashion as we entered the first door and then the second door into the dark Restraunt. At first I was blown away by how dark it was and had a panic moment about obstacles and stairs but Gavin assured us it was all one level and he looked after us so well. He took each of us by the hand and led us to touch our chair to sit down and position ourselves at the table. Warm bread was the first thing that arrived – it felt so warm and smelt so inviting – like it was saying ‘Eat me, Eat me!’ Our water was given to us in tall glasses – Will and I who were on the aisle so we had to put them to the left of us so they couldn’t be dropped onto the walkway. Then the refreshing wine in usual large wine glasses. The two tables we were sitting at were not quite even and I had a bit of anxiety about where I was going to put my drinks – though the slightly taller table was a good border to place the glasses against. I wonder if that is done on purpose? Each time Gavin came to give us some food he would tap us on the shoulder and tell us our dish then we would have to reach over and take it carefully. I wore dark clothes cause I thought I’d be a mess but surprisingly not a drop of food. It was far too delicious to waste! For entree I had Portabello mushrooms with a beautiful dressing and salad greens, followed by a main of garlic prawn risotto – conveniently the prawns had no heads or tails so it was all edible. I tried to eat with my knife and fork but in the end I didn’t want to miss any so I used my hand – well no one could see me! So, I even got to lick my plate clean! My mother-in-law would’ve been horrified! Maybe we don’t use our sense of hearing very much in our eating but it is such an important part of social eating – great conversation always makes a meal taste better. Dessert was delectable! Chocolate mousse with cocoa frosting! It felt so naughty, but it felt a lot less naughty cause I couldn’t see it. Gavin left us alone to talk in the dark for as long as we wanted though when we were ready he would come and give us his signature squeeze on the shoulder and then led us out in a chain to the first chamber. He asked us to brace ourselves and squint before he opened the door – what an utter shock the dimly lit reception was……. The end to an awesome dinner and an experience I don’t think I’ll forget. In fact I think I might try to eat blind folded more often to enhance the other senses. 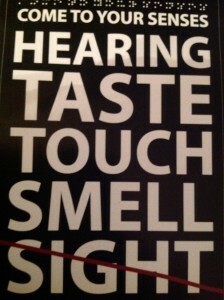 Those of us with sight are so lucky to be able to eat with our five senses. Thanks for that delightful and true rendition of our dinner together. It truly was an experience… but you forgot to say that when one of our number had the surprise dinner, not having sight, made it almost impossible to tell what was being eaten. Beef?, Pork? Something else? Hmmm… apparently pork….hmmmm?! 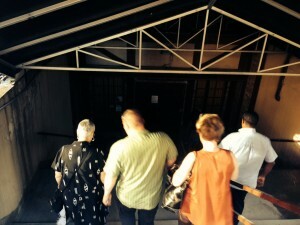 Great fun, and in a way it was restful… I felt calmer, more relaxed when leaving. Was it the dark, the company, the wine? Whatever and all, it was a great evening! Thanks for sharing it! !